I would like to learn more about this 2014 Mitsubishi Lancer ES. Please contact me as soon as possible! 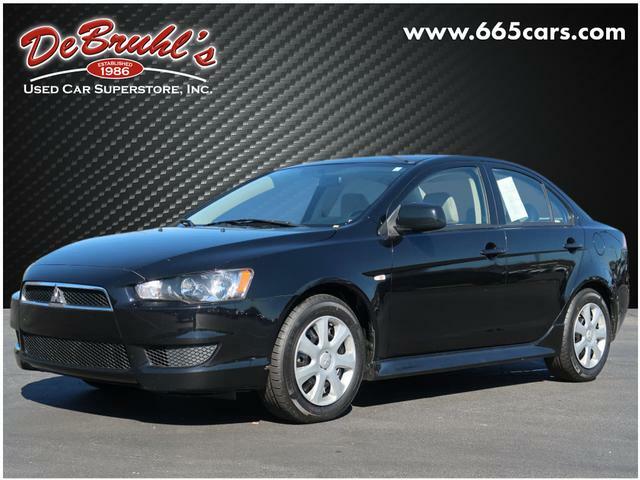 * GREAT DEAL AT $9,950 ** ONLY ONE PREVIOUS OWNER * * 2014 ** Mitsubishi * * Lancer * * ES * This 2014 Mitsubishi Lancer ES is a real winner with features like a traction control, AM/FM radio and CD player, anti-lock brakes, dual airbags, and side air bag system. Flaunting a beautiful black exterior and a beige interior, this car is a sight to see from the inside out. Looking to buy a safer 4 dr sedan? Look no further! This one passed the crash test with 4 out of 5 stars. This is the vehicle you have been waiting for! Call now to schedule a test drive! DeBruhls Used Car Superstore is the largest independent auto dealer in WNC! We offer a full range of financing with our guarantee credit approval, everyone is approved here.